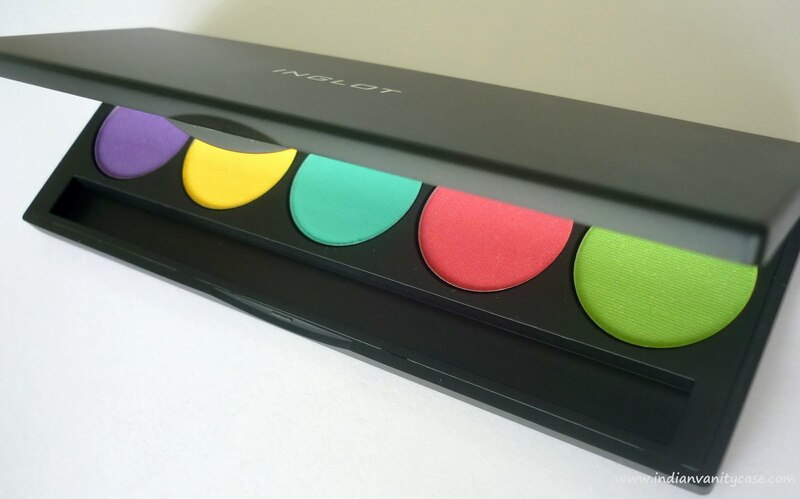 Here is my bright Inglot eyeshadow palette. 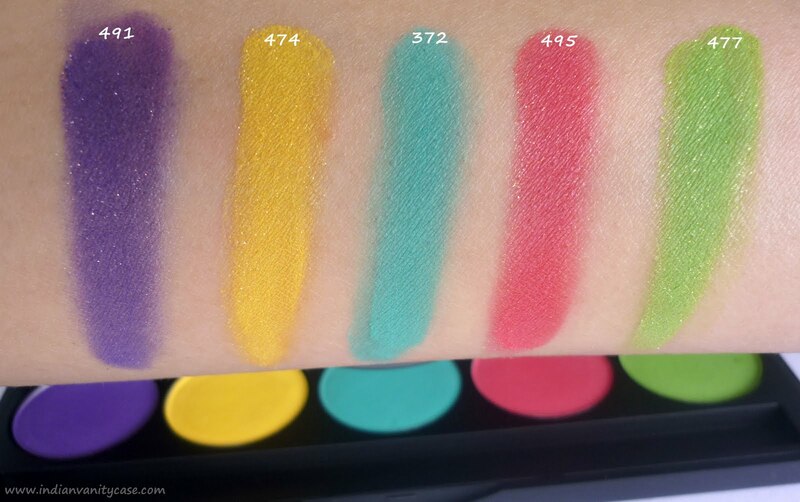 It was somewhat inspired by the Sleek Curacao Palette, coz I really liked some colors in that palette. Shades I picked- 491, 474, 372, 495, 477. They are all Double Sparkle eyeshadows, except for one. 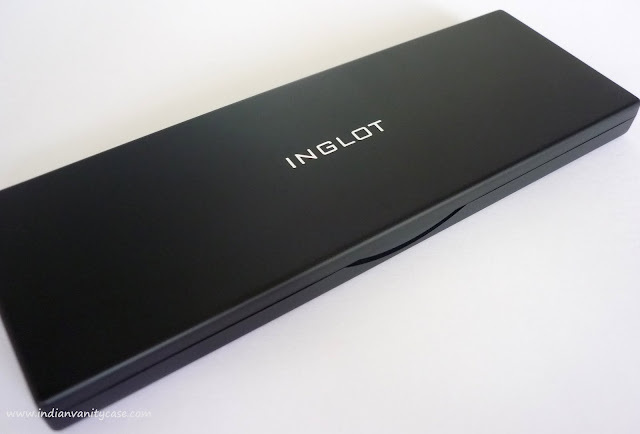 Inglot eyeshadows are available in 3 finishes- Matte, Double Sparkle (DS), and Pearl. I picked these eyeshadows after swatching them carefully, so obviously I love them all :). They are all so pigmented & silky smooth. Absolutely no complaints with the quality. I just wish the shades had names. Uff... I hate numbers, including that weird pricing. Decimal points not followed by zeroes just confuses a mathematically-challenged 'woman' even more. They say 300, then they put those damn points in the bill. that is such a great price for inglot shadows! I wish they had their products here. I love the colors. I might pick same ones when i go there! Btw Do the prices of palettes are all same? Cuz wehn i went last time the SG told me that the 3 pan palette costs 300 :/ Im sorta confused now. Lovely!! I have the purple one! But i cant get it to work :( Can u tell me which brush u use? OOh..i was just thinking that it loks so much like the Sleek Curacao palette, and then read yr post and saw that it was..
Do a look Cynthia..a super fun summer bright look! 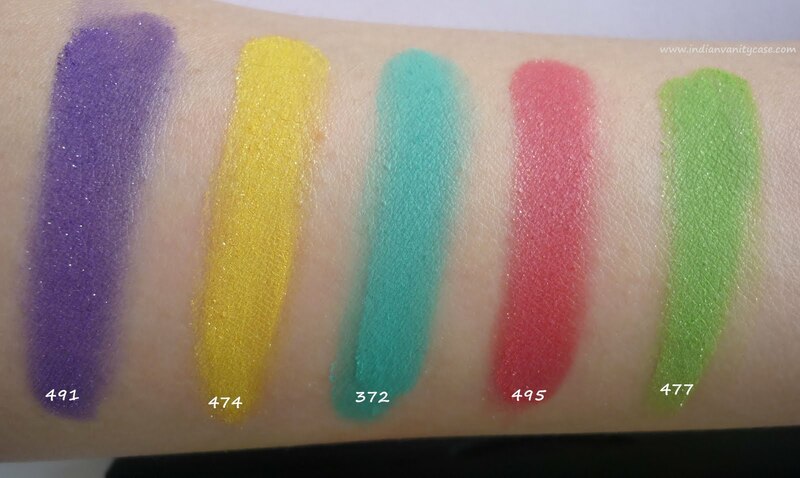 Very well pigmented and pretty colors. Inglot has really good shadows,obvious colors and easy to blend,they are even better than some mac shadows i have, the only thing I hate in them that they don't have names to remember them easily..Thanks for the review ,waiting for the inglot look.. I love Inglot eyeshadows too, but I agree with you, they should have their own names! The numbers are quite difficult to remember. A lot of people recommend inglot eyeshadows over, say, MAC. I have no idea where to buy them in real life though! lol! Such a bright palette. The only thing I own from Inglot is their cute test tube lipgloss thing. I want eye shadows!! Hi beutiful!Them all are lovely colours.I love your blog and I`m missing you,Cynthia! These are really superb colours, Cynthia, you have lovely choice. Kuwaitigirl- I use a synthetic brush + fingers. It'll get more pigmented after the top layer. WOW, gorgeous colors! I love it! OOh the palette is so gorgeous!! 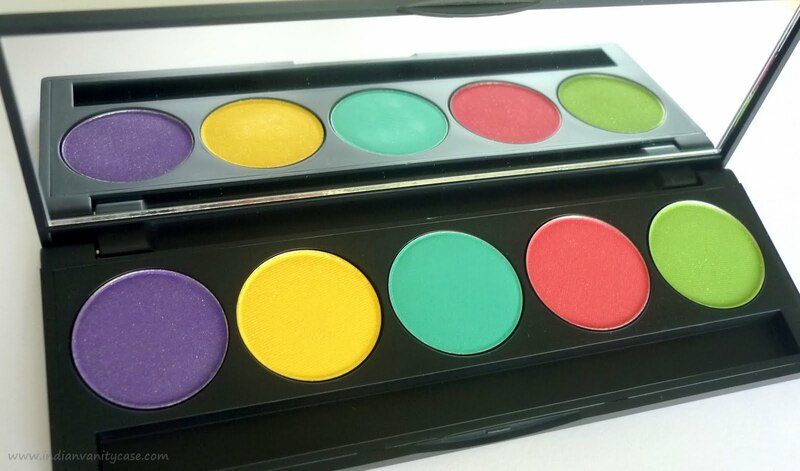 i am totally loving the colours and they are so pigmented!!! lovely selection!